He&apos;s serious about this one. 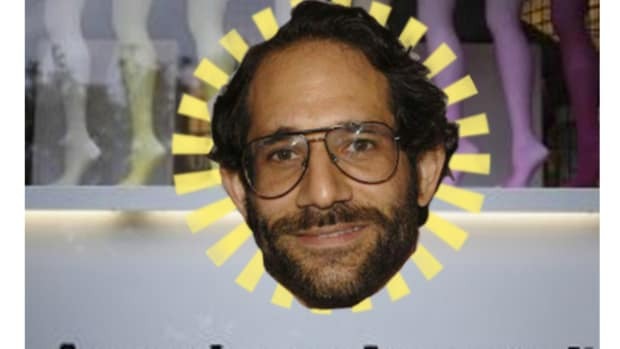 From whichever friend’s couch he’s plotting his return to American Apparel’s helm, Dov Charney has suffered a series of defeats over the last week: He’s not allowed to badmouth the company anymore or even try to get rid of the directors who signed off on his firing. And one of his so-called buddies won’t be trying to do so, either, having agreed to drop his planned proxy battle. But the least you can say of a man who (allegedly) found as many ways to sexually harass as Dov Charney has is that he is resourceful. And so, restraining order or no, he’s found a new way to annoy his enemies. One that just might work, too. Mr. Charney initially asked the company to advance him $100,000 to retain counsel so he could defend himself against the company-filed lawsuit in Delaware. American Apparel rejected that claim, asserting that its complaint was against him only in his personal capacity over a violation of the standstill agreement. Because the lawsuit does not involve his conduct as an officer or director of the company, the company says it has no obligation to cover his legal fees….Mr. Charney argues that the standstill agreement provides for him to continue as an employee of American Apparel after his suspension as chief executive in June 2014. Therefore, the agreement relates to his actions as an officer and director, bringing him within American Apparel’s indemnification and advancement obligations…. The Delaware courts have often sided with former officers who seek payment of lawyers’ fees, because otherwise they would be forced to bear large legal bills to defend themselves.